For anyone whose seen the Jaguar XK you’ll know it’s a thing of beauty… not only does it look gorgeous but it’s a masterpiece of engineering packing a super smooth 5.0L V8 power unit, a chassis that makes it stick to the road like glue and a state of the art Aluminium body shell. To drive one is heaven, it feels like the car has been built around you, it does everything you ask when you touch the loud pedal and let’s be honest which petrol head wouldn’t be seduced by such a machine? No surprise then that I’ve been looking for one for about a month now I’ve been deliberating whether to leave my current incumbent for such a thing of fun and beauty. If it had been a decision of the heart, then I would be a proud owner by now, but my natural instinct is to rationalise my heart with my head. Whilst the heart is longing for one, my head is saying it does about 16MPG around the doors, the TAX is £400+ per year and it’s rated at the highest insurance group 20. Actually, having had a high performance car in the past none of that matters, you don’t worry about any of this as the pleasure far outweighs the costs. 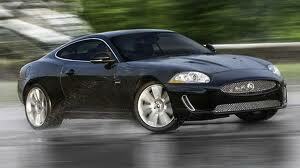 So why am I not a proud owner of an XK, well it’s down to agreeing what I would consider to be a fair deal. I’m finding the Jaguar dealers very difficult to deal with and quite arrogant if I’m honest. Taking into account I’m trading one Jaguar to buy another I have to say I’m pretty disappointed that the dealer wants to make money out of me on the new car, make money out of me on the part exchange, and make money out of me on the finance deal. This combined with their arrogant take it or leave it attitude is the reason I’m going to stick with the car I fell in love with 18 months ago. So, the lesson here is watch out my friends… whilst seduction is a very good feeling it could end up costing you big time. Previous postConverting from a PC to a Mac, it’s dead easy and you’ll never want to go back!